You can’t buy the most distinct and elegant look for yourself, you have to earn it. 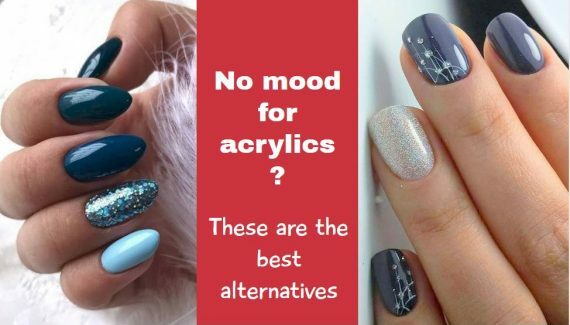 There are more than just a few different shapes for the acrylic nails one can get. Every shape has its own charm as well as drawbacks. Choosing the perfect shape and design for your nails is an art which keeps improving the more you practice it. This is the classic shape you can give to your nails. One of the most conservative and ideal for women of all age. 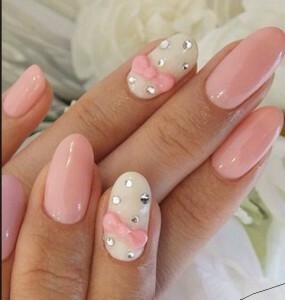 It looks very simple yet pretty but not preferred by young girls and fashion crazy women as it makes them feel they are having the same nails like everyone else. This shape fails to give you a unique highlight as its the most common shape kept by not just women but men too. The advantage is that its very durable and simple to maintain. Because of rounded edge, its not likely to get chipped and very simple to file. But these nails look nice only if kept short so very beneficial for those having weak nail bed. These nails are seen a lot around in parties, discotheques and colleges too. Its really loved by the girls especially after they do French manicure on their square nails. This shape can be used to create countless designs and textures. You need medium or long but not too long nails to keep this shape. It has a square base as well as top however the extreme edges are usually filed a bit to make sure they don’t hurt you. Don’t do this on too long nails as they tend to break easily and become weak. One major demerit of squared nails is the chipping issue. Because of square design, they often break and maintaining them becomes a pain sometimes. This one is basically the combination of rounded and square nails so you can get a better way out. It helps in increasing the strength of the nails and reducing the tendency to get chipped. Oval shape is easy to maintain but much better looking than the classical rounded design. Filing them is not a very easy job but you will get the hang of it after trying a few times. 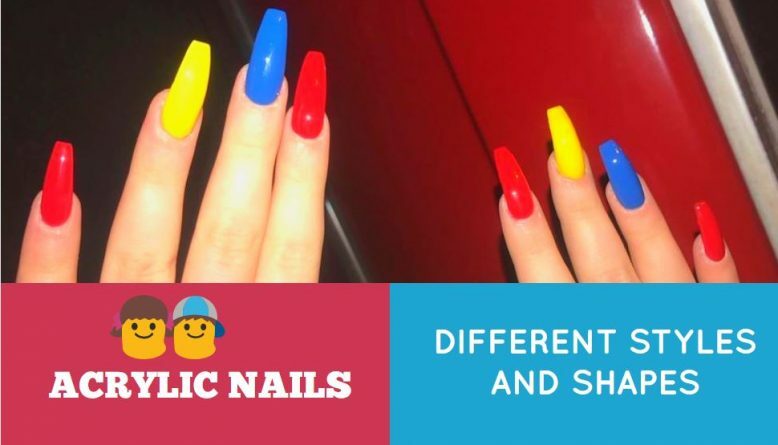 You want to file the sides of your acrylic nails straightway just like square nails but then give an oval shape to the top edge so it becomes squoval shaped nail. The benefit is that you can keep much longer length nails in this design. They are very very popular right now especially among the celebrities. Yes they have the time and capacity to maintain them but normal girls usually can’t. They look real fancy and very attractive. You are sure to make every guy stare at your nails if you get them. But the disadvantages of these nails make you to stay away from these. Stiletto nail is just like a mountain peak (yes like the lonely mountain in Hobbit movie series, my favorite) which is very difficult to do without the help of an expert. You can try to do these at home but you will need a lot of patience and professional electric nail filing sets for these. Have you seen an almond? You can make your nail look exactly the same. This shape is very pretty and famous for its delicacy and feminine look. If you got tender and slim fingers, they manifold the beauty of your lovely hands. Yes your man will want to keep kissing your hands all day. 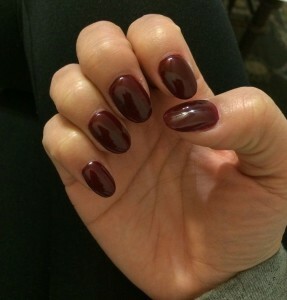 This shape will require long nails and has a rounded but thinner tip just like an almond. The problem is that the growth of your nails gets restricted with these nails. Also they are very easy to get broken or peeled off because they are not very strong. Given both pros and cons, they are a good choice definitely. This one is absolutely gorgeous. It tops the chart of my favorite acrylic nail shapes. It combines the merits of rounded, square and almond shape in a manner that their shortcomings are squared off. With this shape, you get a perfect feminine look, strong strength of rounded nails and great looks of squared design as well all combined in one single shape OVAL. Get this shape and you will fall in love with your nails once again. They are strong, elegant and less prone to accidents. So these were the different acrylic nail shapes you can give to your nails. For any other query, simply leave us a comment below. what color is the almond shaped? Absolutely OBSESSED with that squoval (coffin) shape! ok, so i work fast food we can have nails but we have to wear gloves, so no biggie there. my question is, since i work a lot with my hands i need something that wont break easy, get caught on stuff and is strong. i have weak thin natural nails and love the look of artificial nails but they cant be long, 1/4 in or less as stated in rule book so i dont know what options are. 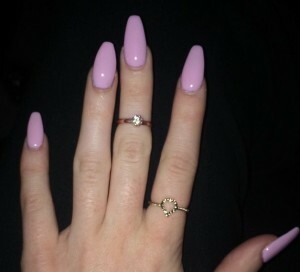 Where would I purchase the almond shaped nails. 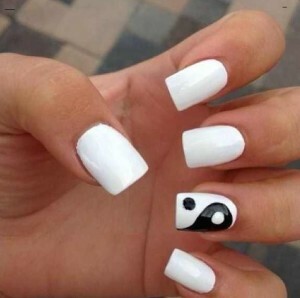 Can a person purchase these nails or do you have to go to a salon. I live in a very rural area in the mountains of Tennessee . I would love to have almond shaped nails that stay on longer than a day. I but nails at Walgreens or Walmart , put them on and if I get them wet that’s it they’re off. It’s as if it’s a one night stand with fingernails, plus the only kind anybody has around here are square. Can you do my nails and how much ? The nails are great enjoy the style where can u buy them almond or oval and nail polish along with the art for to of nail?